I had previously been hypnotised before and knew it was the way forward to help my health. I comtacted Mike Ward who was just going into a busy period with bookings and although he could not see me for 4 weeks he sent me texts every week to assure me I was not forgotten about and that my booking was being taken seriously. This service before I had even met Mike was second to none. The appointment was due to the fact that I am allergic to bakers yeast and I found myself always eating bread and pizza and anything else that contained yeast. It made me ill and if I could have stopped on my own I would have done, but I had been battling for 8 years with this, so I felt it was time to take action. After discussing the facts with Mike he explained that it was a food compulsion and that he had helped someone else with this condition before. My appointment was on the 21st May in the evening which was very convenient for myself with work and children. I was greeted by Mike and made to feel very relaxed and the whole time spent, probably exceeded the time I was booked in for, but it was unhurried and professional. He actually gave me a gift that day, he broke my addiction to bread. I waited nearly two months after my appointment, in caes it was only temporary, but I can say I even turn way from bread in a supermarket now. I have not touched bread, pizzas or doughnuts since that appointment. I have even been to France and did not eat any of their delicious bread.... which I think would have been my testing point. So I thank you Mike. I have given out his details to so many people as they have seen the change in me. For what ever reason you visit Mike Ward, rest assured you are in good hands. I had been suffering from dissociative seizures for about 2 years. I had seen various neurologists to try and stop them occurring. After many months, x-rays, mri scans etc, they eventually diagnosed severe migraine and told me I had developed a functional movement disorder that made me twitch down the right side of my body. At its worst the seizures were happening every day for hours at a time, the longest being 13 hours. I followed all the medical treatments and medications they prescribed, with limited success. 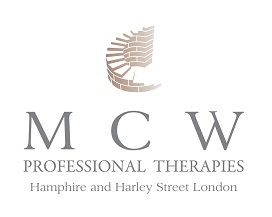 At one meeting with my consultant, I asked his view of hypnotherapy, combined with CBT, and he was very supportive and encouraged me to try it. So, on a personal recommendation from a friend, I went to see Mike Ward. I didn't know what to expect, but we just sat and chatted so he could find out all the facts of why I was seeing him. After that I saw Mike weekly and after only 2 therapy sessions, I was seeing a huge improvement in my condition. I have now stopped taking all medications, and I am happy to tell you that my seizures have almost stopped completely. I have had one light seizure in the past 3 months - a massive improvement. Mike helped me to regain control of my life with positive thinking, relaxation techniques, neuro-linguistic training and CBT. I would recommened anyone, no matter what your situation is, to talk to Mike and see if he can help you too. I am a 18 year old male who on the surface looked like any other lad, enjoying life but after a difficult year with various health related issues,and going through a very messy break in a relationship, any sort of confidence I once had was destroyed. Towards the end of the year I started experiencing panic attacks out of no where. I would experience several panic attacks a day which consisted of a rapid heart beat, along with a tight chest and feeling dizzy. Before going to Mike these attacks would really scare me. It was if I honestly thought I was going to faint or even die! It was very hard to explain to family members as I knew they wouldn't know what I was going through, as it wasn't physical. However when my family noticed my personality changing for the worst, they cottoned on that something wasn't right. That was when we looked for help. We came across Mikes brilliant website online and we made the call for the first meeting. It got to the stage where I didn't trust anyone, I was even scared to see Mike by myself as I thought he may try to hurt me (yes thats how bad everything got). As soon as I met Mike he made me feel so relaxed. His outgoing and friendly nature made me feel so at ease from the start. What was good about Mike is that he got to know me in the first sessions, although at first I was very sceptical to talk about my problems. This was great, as after getting to know me he knew what course of treatment to offer me. I had personal issues with my pulse, it become a habit for me to check my pulse to see that it wasn't too fast. My daily life would be on constant hold too see if my pulse was normal, if it was slightly high for some reason this would more often or not trigger a panic attack. After a few sessions of relaxation and hypnotherapy my panic attacks started to calm down, so with this I started to stop practising the specific techniques Mike had given to me. This foolish decision resulted in my panic attacks returning with some velocity. Of course I started becoming quite sceptical about Mikes work, and after talking to him about it and him giving me a lot of help to get back on track along side some real dedication to practicing at home, there was a very noticeable shift and change. I was getting a lot more confidence back, and my bubbly talkative personality was becoming a lot more visible. It wasn't an easy process, Mike can't snap his fingers and everything will be better, but what Mike did do was go deep into therapy with me to help find what the real problem was. It was good that he was questioning my train of thought, as it helped re-wrire the way my brain thought. As the panics started to die down eventually, I really wanted to get over a huge personal phobia of mine, flying. It had been 7 years since I had got on a plane due to sheer panic of crashing and dying. It was so bad that family holidays were arranged around me, not being able to fly. We drove to Italy as I just wouldn't get on a plane. I wanted to get over this as I had booked my first holiday abroad with my friends. I wanted to make sure after paying £400 I was going to turn up and get on the plane. After telling Mike all of this he devised a specific routine to help me in the build up to my holiday. In the space of 3 sessions over 6 weeks Mike had made me feel like I could actually get on the plane, and I would be ok.
6 weeks later, I got myself on that plane. Whilst obviously being nervous, Mikes strategies and techniques helped me deal with everything, and I know next time I can get on a plane without any anxiety. What was very good about Mike is that you could tell he wanted to help.I also always felt as if I could make contact at any time to tell him anything what was happening or going on, he was incredibly approachable and I never felt as if I was pestering him. It's a cliche but Mike really did change my life, no longer do I suffer with any panics, I can just get on with my life living in normality. Mike, thank you so much for all your support, its been a pleasure meeting you, trusting you to work with and learning so much, which has helped me to move forward positively. I want happiness and contentment within and working with you I know that I can achieve that. Good luck with all that you do. D August 2013. I believe all of my sessions have really helped and changed me. When I first started I was really self conscious and my confidence was at its lowest. I used to cover myself up with thick baggy clothes and my thinking was very negative. From my sessions these helped me realise that my negative thoughts, were just purely thoughts and not reality. I also learned how to replace them with more positive thinking. I am happier, more relaxed, not obsessing over how I look or comparing myself to others anymore. I also used these sessions to overcome my fear, of heights, escalators and have been calm when a dog has come up to me and walked past me. I feel like I am a new man, I believe I am a more confident person, involving myself more and making new friends. With all these improvements, I am loving life and worrying less. I have had 8 truly beneficial sessions with Mike. I have been to therapy before and found it has dragged on and on with the therapist not really helping, or making suggestions that didn't relate to me at all. One counsellor seemed to actively encourage me to cry more and dwell on how terrible everything was. But Mike is a breath of fresh air! He worked with me, he really listened and understood who I was and what I wanted. He helped me work through the difficult issues, but was quick to never let me relive them. He gave me great tools to take away and use and by the end of my sessions I knew I was ready to leave. He works as your equal and he is easy to talk with. Mike has a wealth of knowledge and skills and he is fascinating to listen to. I can actually say I thoroughly enjoyed my sessions. Mike is a truly likeable man and an excellent Therapist, I can't recommend him highly enough. My sessions have given me the confidence in what I want to achieve and do. If it wasn't for my therapy sessions and the support from Mike, I wouldn't be here, I feel confident and ready to walk back into the world, thank you so much. Learning how to deal with my anxious feelings, learning that It was actually how and what I was saying to myself repeatedly that was creating the anxiety. I feel so relieved and calm now. I was lucky enough to be offered a Gastric band operation a couple of years ago to help me with my long term battle with my weight. It was amazing; it was like I had my life back again, I was doing things that I hadn't been able to do for years. I had lost loads of weight and was feeling great. As time passed, I was more confident with my band and tried a few of the things that I had not been able to eat before. I found that chocolate was just as amazing as I had remembered it and best of all, it would pass through the band easily. I was craving this sugar rush much more than I had done before my operation and as a result I began to put back the weight that I had lost. I was really struggling and felt I was letting myself down. I mentioned this to Mike at a meeting we were both attending and he immediately said that I should come and see him as he felt sure that he would be able to help. Well, anyone that knows me will tell you that I am the world's greatest cynic. I will argue that red is blue and never be persuaded otherwise [mind you I am colour blind so I am allowed] but that is how difficult I am to convince about anything. Anyway, Mike was so sure he could help; I thought I would just humour him and go along. We had a very informal chat, I didn't feel that I was having any kind of 'treatment', we talked about the kinds of things that I enjoyed and what I hoped to achieve in the future. Mike asked about the things that I dislike eating and suggested that I put them in a box along with chocolate. I have to say that I was not at all convinced this was going to work but you know what they say,'nothing ventured nothing gained'. I left Mike feeling very positive and more tuned into staying focused on my weight loss plan, and I have to say that I did not want any chocolate. It was not long before I realised just how effective this session had been, I not only no longer fancied chocolate, just the smell of it was enough to put me off. It has been about six months since I took Mike up on his offer of help and I can say hand on heart that I am a believer. I am back on track with my weight and have not been able to eat chocolate since. I am assured that my aversion can be reversed when I am ready so all is not lost, but for the time being I am grateful for the support. In fact I am thinking about reopening my box and putting a few more tempting goodies in there. I have no hesitation in recommending Mike to anyone. If it worked for me there is hope for everyone. I have always felt that mind over matter was a load of tosh but now I am living proof that is not the case. I am very grateful to Mike and am confident that he will have a great future. At a time of a massive life transition, Mike supported me and helped me to explore my choices available.From that I was able to see things more clearly and make the right decision. Looking back, my decisions were right. I would like to give a genuine heartfelt thank you to Mike for his unique skill in opening out my patterns of thinking.